Headlines like these instill consumer confidence that medical devices are safe and effective. After all, they have the FDA’s stamp of approval, right? 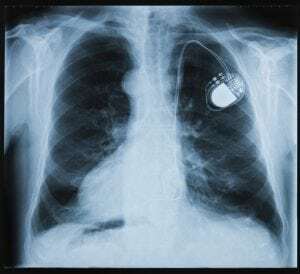 In 2017, the FDA issued a “safety alert” for roughly 465,000 radio frequency-enabled pacemakers that were already placed in U.S. patients. This low standard of evidence applies to even the highest risk devices, such as those that are implanted in a person’s body. Surgical mesh, pacemakers and gastric weight loss balloons are just a few examples of devices that have had serious safety problems. Devices are subject to weaker standards than drugs because they’re regulated under a different law. The Medical Device Amendments of 1976 was intended to encourage innovation while allowing for a range of review standards based on risk, according to legal expert Richard A. Merrill. An array of corporate lobbying has since prompted Congress to ease regulations and make it easier for devices to get the FDA’s OK (here’s one 2015 example). The call for cautionary news coverage is amplified by the fact that there’s no uniform surveillance once a device reaches the market. Manufacturers under-report device-related deaths, serious injuries and malfunctions. As a result, it can take years for safety or efficacy problems to be detected. When problems are identified, the FDA is sometimes reluctant to issue warnings and recalls. Moreover, some consumers have little recourse against faulty devices after a 2008 Supreme Court ruling determined patients and their families can’t sue manufacturers if a device passed the FDA’s most stringent review process, called premarket approval (PMA), which is required of the most risky devices. Efforts to strengthen FDA oversight and give consumers legal redress have been blocked by a powerful device lobby, which argues more patients benefit when its wares get on the market quickly. Provisions of the 21st Century Cures Act, passed in 2016, may further weaken FDA oversight, says watchdog group Public Citizen. The group says the law encourages the agency to regulate combination drug/device products as devices — which are subject to lower safety and effectiveness standards, as well as rush through reviews of devices categorized as “breakthroughs.” It also directs FDA employees to ask for minimal information on new devices under a congressionally mandated policy that requires the agency to minimize burdens on manufacturers. When safety problems become known, journalists should illuminate the factors that led up to them. That includes diving into the convoluted oversight process. The FDA’s Center for Devices and Radiological Health is tasked with regulating devices, which are classified into three risk categories that loosely determine the level of scrutiny they receive. 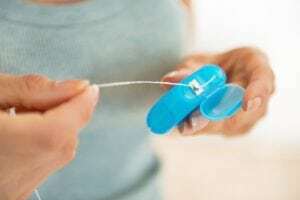 Floss is considered a Class I medical device. Class II devices are considered to pose a medium risk and could hurt patients if misused. Condoms, acupuncture needles and powered wheelchairs are examples. Most submit a premarket notification (PMN), also called a 510(k), in which the manufacturer can argue that a device is “substantially equivalent” to one that’s already allowed on the market. That existing device is known as a predicate. If a predicate is identified, no evidence of safety or efficacy data is required, and the device is given clearance to go on the market. In rare cases, Class II devices undergo the more costly and time-consuming scientific review required of Class III devices. First-of-a-kind devices that pose low or moderate risk may apply to be categorized as Class I or Class II, thus avoiding some of the oversight and the higher level of evidence for safety associated with a PMA. This pathway is called de novo classification. Once a device is authorized in this way, it may serve as a predicate for others. A recent example would be 23andMe’s at-home genetic risk tests. Ninety-nine percent of devices never have to provide clinical data, thanks in part to the 2002 Medical Devices User Fee Act, which requires the FDA to use the “least burdensome route” to approval. That means most devices submit a 510(k), which has created a daisy chain of numerous modifications in which devices get tweaked and cleared for market without patient trials. Predicate devices that were problematic and removed from the market may still be used to demonstrate “substantial equivalence” for new devices. Also, devices that were already on the market when regulation began in 1979 were grandfathered; they may be used as a predicate even though they never had to demonstrate safety or efficacy. In 2011 the Institute of Medicine recommended eliminating the 510(K) pathway, saying it fails to protect patients. But since then, Congress has approved measures to allow more devices to use that pathway. For the few devices subject to a scientific review, the quality standards are flimsy. Randomized controlled trials–the gold standard–are infrequent. Most studies are unblinded, and thus prone to bias. 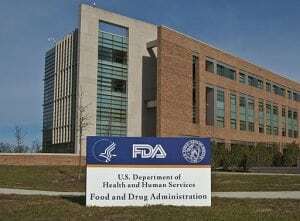 The FDA settles for loosely defined “reasonable assurance” that a device is safe and effective, versus its higher standard of “substantial evidence” for drugs, which require studies with comparison groups that didn’t receive the same treatment. “Thus, data that would never be sufficient to support the approval of a drug can result in the approval of a device used to treat the same condition, potentially diverting patients from effective drugs to less-effective devices,” noted Public Citizen. Point out that FDA registration, clearance or approval says little if anything about whether a device actually works or is safe. News reports need to be clear that while a nod from the FDA sounds good, it says little about a device’s safety or efficacy. 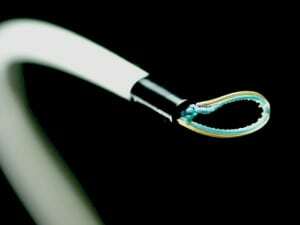 The Lariat device for treating irregular heartbeats was approved without adequate assurance of safety. Explain which regulatory pathway a device took. Was it a 510(k) clearance? And if so, what predicate device was used and is that predicate device still on the market? If there was a premarket authorization, what evidence provided “reasonable assurance” of the device’s safety and effectiveness? This Philadelphia Inquirer story points out the 510(k) loophole that allowed a new surgical device for treating irregular heartbeats to be marketed without adequate assurance of safety. Explain what if any studies were done, who funded them, and what the limitations and harms are. This Associated Press story did a good job of explaining a lack of safety data for a dissolvable stent, leaving patients and their doctors to decide for themselves whether to shoulder the risk. But this LA Times story didn’t address the harms and side effects of a new implantable stimulator that was approved for weight loss. Include perspective from independent experts and patient groups that aren’t funded by industry. Single source stories like this NBC piece about a new device for treating migraines usually present an unbalanced picture. To avoid this pitfall, seek out experts who don’t have a financial interest in a device. A list of independent experts is available here. Social media can be another rich source. Online bulletin boards and Facebook pages have been created by people who believe they’ve been harmed by medical devices. Review the FDA’s Manufacturer and User Facility Device Experience database for adverse event reports from patients, family members and healthcare professionals. Calculate the true costs of medical device failures. While medical devices themselves account for about 6 percent of U.S. health expenditures, their use drives other costs that typically far exceed the cost of the device itself, including the price of surgical implantation and repeat visits with specialists for monitoring. In addition, costs mount exponentially when devices fail. For example, the Minneapolis Star Tribune reported in 2015 that Medicare spent $1.5 billion on defective heart devices implanted in thousands of beneficiaries, and patients paid an estimated $140 million out of pocket to have those devices removed, among numerous other costs to society. Point out that post-market surveillance is weak. Trials for efficacy and safety are rare once a device reaches the market. The FDA is establishing a mandatory system to require manufacturers to label each device with a unique device identification (UDI) code, but without mandatory registries to track problems or to link the identifier with a patient’s electronic health records, the identifiers are of limited use, says Lenzer. 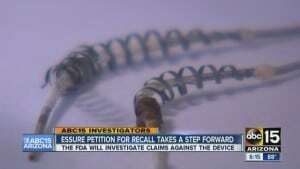 The Essure contraceptive device has been blamed for numerous adverse effects and escaped stringent review before and after it was approved for sale. A 2015 story in the Los Angeles Times, “How a device maker kept U.S. hospitals in the dark about deadly infections,” told how Olympus failed to alert hospitals or regulators about a design flaw in a gastrointestinal scope that resulted in hundreds of infections and more than 20 deaths. In “The Battle over Essure,” the Washington Post documented how an implantable contraceptive blamed for numerous adverse effects escaped stringent review before and after it went on sale. In “The Lien Machine,” Reuters investigated medical lenders and how it profited from women who needed surgery to remove harmful pelvic mesh implants. This article should be in every implanting surgeons’ waiting room and requiring a confirming signature as a component of ‘informed consent’ documents. 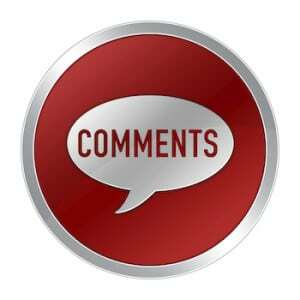 Thank you for an encyclopedic and concise discussion of medical device safety. I have been a patient activist since I was trained in 2010 to be a FDA/CDRH Patient Representative. Congress should not be approving use of medical equipment implanted to support bodily functions, the medical profession should do this. The value of pace makers, back braces, etc. should be used on people or animals to determine if they work, not o.k.ed by congress. We do it for medicine, why not on everything else that goes into our bodies? Manufacturing companies and elected people are not qualified. As Patient who recieved a Micra Pacemaker (wireless) I agree that patients should be better informed. When I was told I needed it I was given no choice in the type I received and an Electrophysiology doctor stated it was just FDA approved making it sound satisfying to me. I had no idea about the lax oversight in medical devices. Until this day I wondered why my doctors played around with it so much and it is obvious they are still learning about it’s capabilities. Patients should be better informed.